I saw this yesterday and chuckled. TGIF can be every day when the ‘f’ stands for fermented. Don’t get me wrong, I was also grateful it was Friday. So in honor of TGIF – Thank God It’s Fermented, here are a couple of new wines I have tried in the past few weeks. 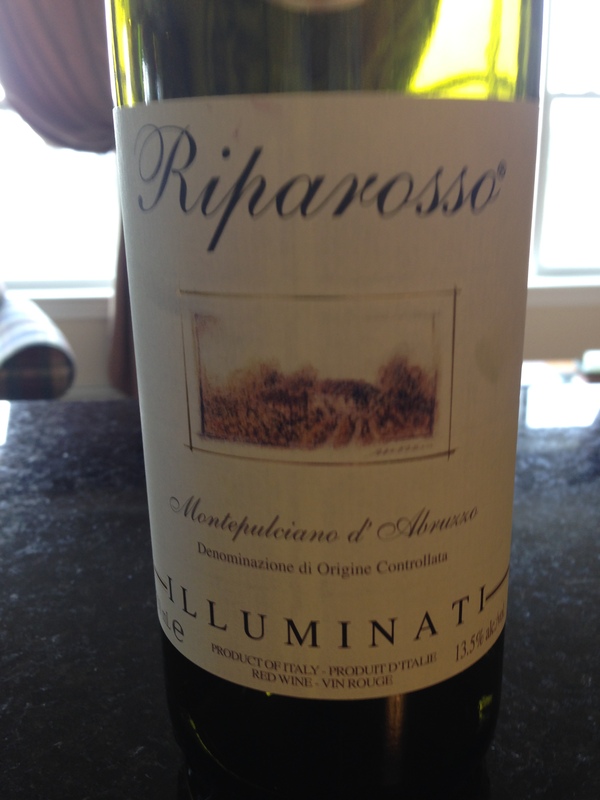 A couple of fine Italian wines top the list and we will start with the Illuminati Riparosso Mont D’Abruzzo DOC from the region of Montelpulciano. It’s a gorgeous deep cherry color with cherry and plum flavors, some spice and oak flavors. A medium to full-bodied wine and not heavy. This wine was easy to drink and priced at about $16, this is a wine to enjoy any night of the week. 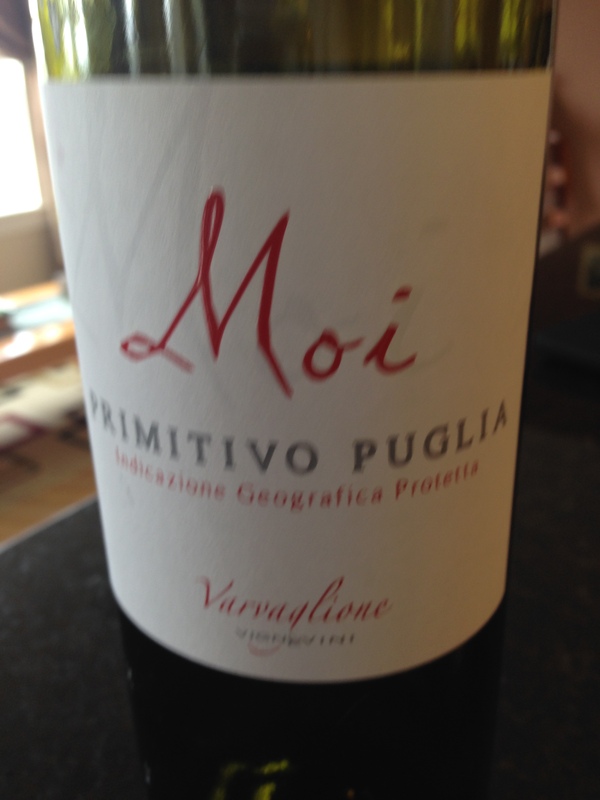 Another Italian beauty I have discovered in the last couple of weeks is the Moi Primitivo Puglia. (pronounced Pool-ya!) Primitivo is the close 1st cousin of Zinfandel and regular readers know how much I love Zinfandel (and Primitivo). This wine is 100% Primitivo from the Puglia region of Italy and has all those delicious plum jammy flavors, spices, and notes of licorice. Now that we are into BBQ season, this is a great BBQ wine, and priced at under $15, you’ll be looking for a reason to kick start the BBQ. Speaking of great BBQ wines, this Red Rock Winemaker’s Blend from California contains 3 grapes – Cabernet Sauvignon, Merlot and Petite Sirah. All 3 grapes on their own make for great BBQ wines, but put them together the way Red Rock did and it’s damn near close to perfection. The grapes came from 2 regions in California – San Luis Obispo & Sonoma County, so you can rest assured you’re getting quality grapes. Dark rich fruits, a hint of vanilla from the oak aging and some spice. I really enjoyed this wine and love the fact it is under $20. Here’s another great BBQ wine… as if you needed more. 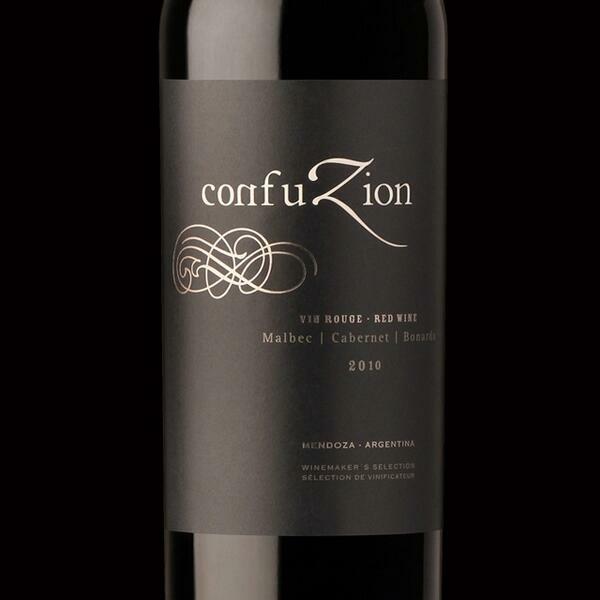 This wine, called Confuzion, is anything but. From Argentina, it’s a blend of Malbec and Cabernet Sauvignon. Great structure in a full-bodied wine that will compliment any piece of beef you are throwing on the grill. Delicious and another great steal at just $16.99 a bottle. I love finding good wines at great prices, and this is one of them. Well, that’s it for this week. Till next week, please drink responsibly and if you are imbibing, take a cab or stay home. Please don’t get behind the wheel. This entry was posted on May 9, 2015 at 1:05 pm and is filed under Wine. You can follow any responses to this entry through the RSS 2.0 feed. You can leave a response, or trackback from your own site. TGIF X7 – Way to go Darlene!